4 Shaft Capacity - Ideal for start ups - "Easy to access levers" for shaft lifting. Supplied with - 2 Nos. 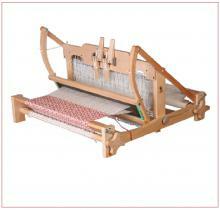 stick shuttles, Heddles Hook,Cross & Warp Sticks, Learn to weave on the table loom brooklet,Warping Frame.